For immediate need cremation services and affordable cremation costs in Manchester, New York, more families choose Halsted Patrick Funeral Home. If you have just experienced the loss of a family member or friend please accept our sincere condolences. We are standing by to respond to your call, expedite transport of your loved one and answer your questions. Choosing cremation rather than burial does not diminish the value of a wonderful life. 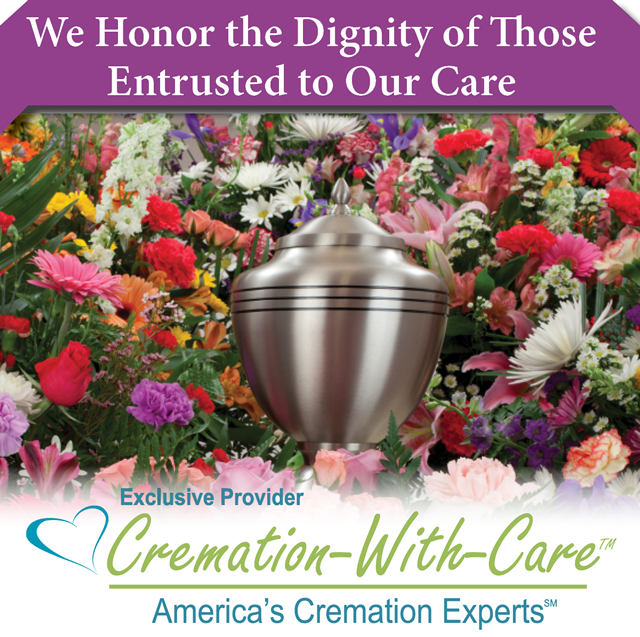 In fact, cremation opens the door to many different and unique options to honor your loved one. Cremation, like burial...is simply the disposition of the physical body of the deceased. It does not preclude you from having a Remembrance Gathering or creating a permanent memorial in a cemetery, mausoleum, or cremation garden that can be visited regularly by family and friends. Our Remembrance Planner Professionals are accomplished listeners and are able to transform your ideas and thoughts into a perfectly themed and executed Remembrance Gathering designed expressly for your family. It will provide meaning and lasting memories for everyone in attendance. A Remembrance Gathering can be private for family members only or it may be a public reception. A Remembrance Gathering is no longer a day in the life, it's a lifetime in a day. Creating a beautiful and meaningful Remembrance Gathering to celebrate and honor the life of a loved one plays a significant role in our lives and is an essential part of the healing process. Select your loved ones favorite music, include special speakers and select a themed cremation casket and urn. Show keepsake videos, display photo boards, collages or a memory table with pictures and mementos of your loved one to highlight treasured thoughts and memories.